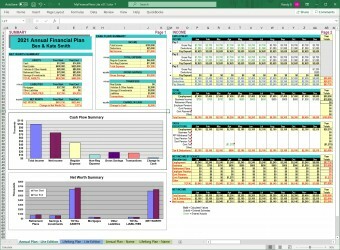 The MyFinancePlans Basic Edition personal finance spreadsheet template is intended for those that have a relatively simple financial situation or want a relatively easy template for starting or learning. The Basic Edition includes a 4 page Annual Plan, a 5 page Lifelong Plan, and the User Guide. 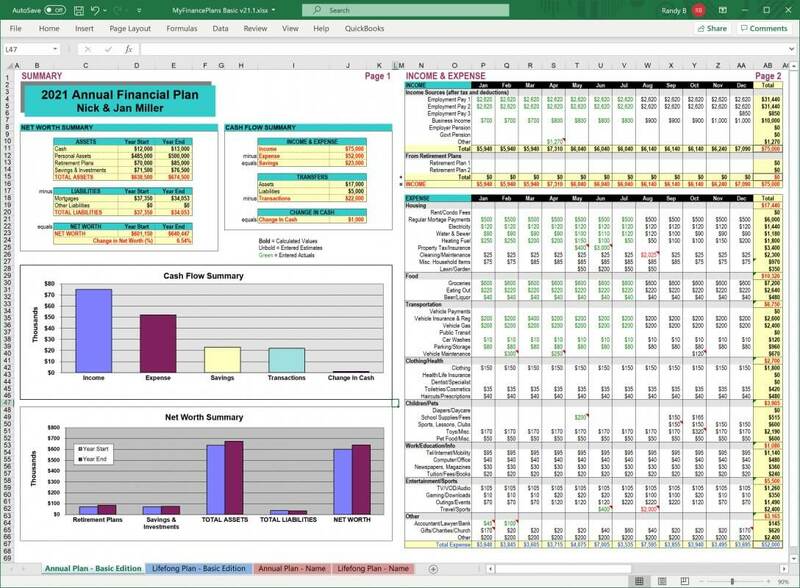 The MyFinancePlans Basic Edition personal finance spreadsheet template is intended for those that have a relatively simple financial situation or want a relatively easy template for getting started or learning. In the Basic Edition the Annual Plan is 4 pages long and the Lifelong Plan is 5 pages long, and as you would expect it has fewer features than the Lite edition or the Full edition. For a detailed comparison of the features of the Basic, Lite and Full editions of MyFinancePlans click on the Compare Plan Features tab above. Purchase your copy of the Basic Edition by clicking on the Add To Cart button and checking out. The payment step will be through PayPal payment processing. Immediately following your order an email message will be sent to you with a download link in it. Open this email message and click on the link to download the zip file to your computer. Then find the zip file on your computer and unzip it using Windows or any Zip program to access the files within. 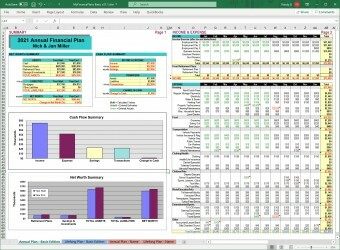 Open the spreadsheet file with Microsoft Excel 2003 or newer, or any compatible spreadsheet program. Open the User Guide with Adobe Reader or any PDF viewer program. Payment will be made through PayPal to ensure security. You may use a credit card or other payment method. A PayPal account is not required if you don't have/want one.